I couldn’t hold it in any longer: “Yeaaaah, bikes!” I yelled out loud. The ribbon of dirt zig-zagged its way down a gully. I pendulumed from berm to berm, lip to lip. I felt like I was flying. Mountain bikers search the world high and low for trails like these, and here I was only 30 minutes into a six-hour race. Under my legs was a bike that chewed up the course with aplomb and showed me a good time in the process. 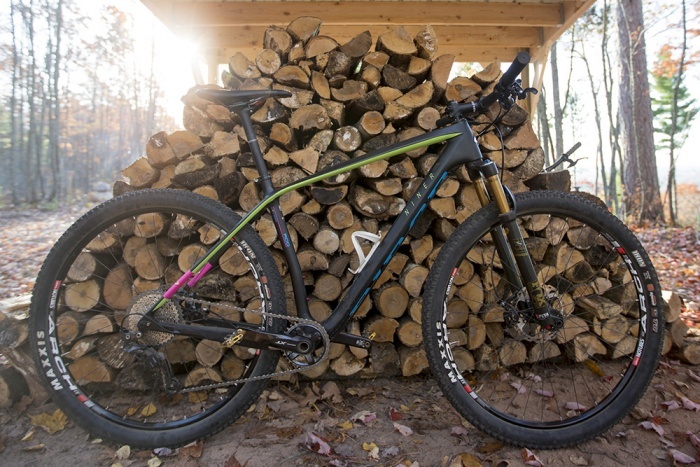 Meet the Niner Air 9 RDO, a race bike that rolls fast and will put a smile in your face. I’m primarily a XC rider. I just like to go fast and carve trails. So when Niner offered to loan me its updated XC race day bike, after I quit giggling to myself, I responded with a full caps “YES”! I tested the bike in the mountains of western North Carolina during the Six Hours of Warrior Creek MTB race in Wilkesboro. My main objective was to get some saddle time in actual race conditions. Spoiler alert—this purpose-built XC race machine isn’t just a bike, it’s a trail weapon! In short: If you crave a light, fast accelerating, nimble bike that doesn’t feel noodly or brutally stiff, this could be your next race whip. Built around what Niner calls its “World Cup-tested” geometry, the hardtail carbon RDO (Race Day Optimized) frame has updates for the 2017-2018 season. The original frame was renowned for its fierce stiffness. 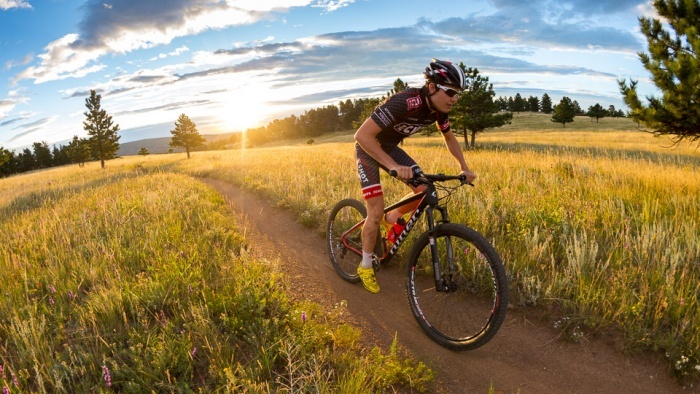 The second version “slimmed down to created a more forgiving ride,” but “power transfer suffered a bit and the bike didn’t feel as stiff and efficient at the pedals,” Niner Marketing Manager Brad Cole told me. The third iteration that I tested borrows all the best traits from the two previous models; it’s stiff, yet compliant. That’s great marketing smack, but here’s what it means: Flex arises from slimmed seat stays, while an oversized downtube and beefier chainstays maintain just the right amount of stiffness. Add a smaller 27.2mm seat post for a little more flex between the rider and the frame, and the ride is noticeably improved! During my six-hour race, I found full appreciation for the new tech. It’s still a race bike with an aggressive cockpit. But at no point did I find myself loathing the jarring stiffness of the older versions. This new frame design is a happy balance of speed and comfort. Partial credit for the solid, commanding feel also goes to the thru-axles front and rear. God bless the woman or man that came up with this tech. Geometry also changed with an added 1-degree rake to slacken steering a touch. After all these updates, this frame comes in about 10-percent lighter than the previous model. Weight will vary between builds and sizes, but my size large test bike weighed less than 22 pounds. 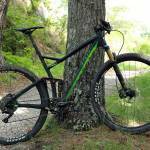 Niner offers the Air9 RDO in 4 different levels of build. Prices range from $3,000 retail for the 2-Star, Shimano SLX equipped build with a host of alloy parts to the 5-star, $6,200 SRAM X01 equipped dream bike with carbon cranks, cockpit, and wheels. My build, the 3-star version, came equipped with Stan’s NoTubes “Arch” wheelset, which isn’t the lightest (and in fact is listed as a “trail” category rim), but took all the punishment in stride. 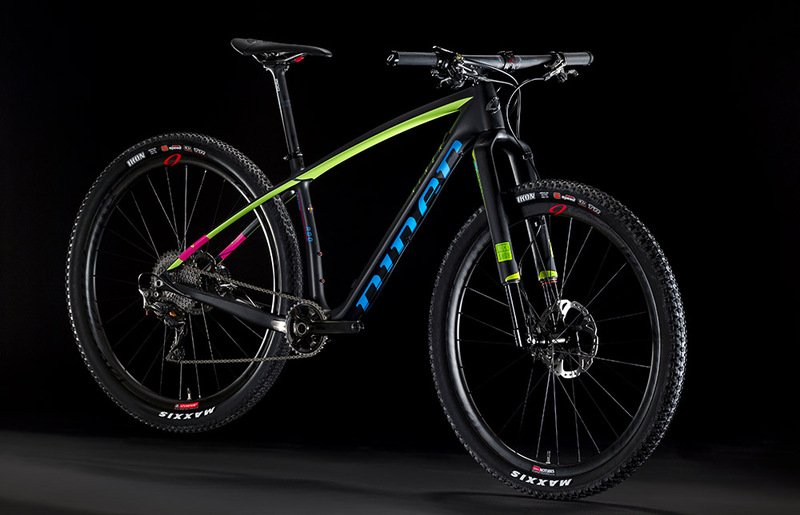 A lighter wheelset, in the 4-star build, would make this bike even more of a trail rocket! The Maxxis Icon 3C/EXO.TR tires in 2.35” up front and 2.20” in rear proved fast and able to handle a small amount of mud. A Fox Float 32 fork (100mm travel) up front was essential to surviving the trail chatter for hours on end. I kept the dial on “Trail” mode the entire race. I saw several guys on rigid forks and murmured a quick prayer for their eventual battered hands. Shifting chores fell to the Shimano XT shifter and rear derailleur. The 1×11 system handled the course expertly and has worked without error for almost a year now. 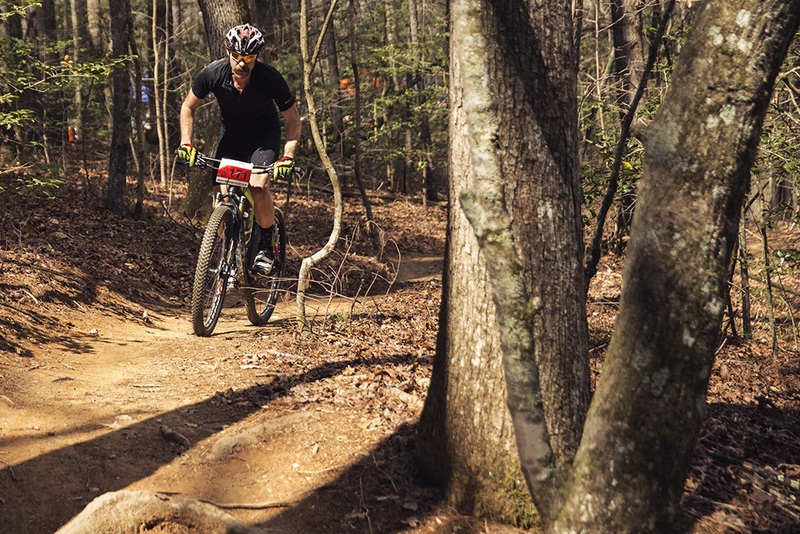 This new Air9 is a great all-day hardtail, but it doesn’t sacrifice efficiency. I could find no fault in the machine other than the high price of entry for this level of bike. And while I wasn’t able to pilot the bike to the glory it deserved, I still insist that it’s the best XC race bike Niner has ever built.